Please support the children of Coventry Little League! Your tax deductible donation will support our 2018 baseball season while promoting your business. 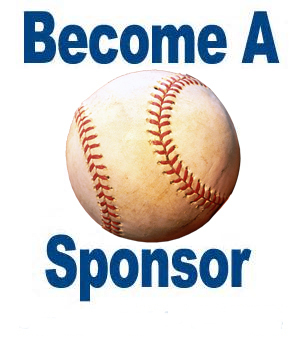 Sponsorship of Coventry Little League (CLL) must be, for the Sponsor, out of a sense of duty to help the community. While Sponsorship does afford certain benefits, the higher purpose is to help CLL impart the values of teamwork, sportsmanship, and fair play to the children of the community, so that they may someday use these values in becoming good citizens. Sponsorship of CLL does not permit the Sponsor to have any rights or responsibilities in the operation of CLL or any team in CLL, nor does the Sponsor have any rights or responsibilities in the selection of managers, coaches or players for any team in CLL. Nothing herein shall make us partners or joint ventures. The Sponsor and CLL are independent contractors with respect to one another, and neither shall have any authority to represent or bind the other in any manner or to any extent whatsoever, except as specified herein. Any reference to the Sponsorship under this agreement must make it clear that the Sponsorship is with CLL ONLY, and NOT with Little League Baseball and Softball, the organization. Use of the marks of logos of Little League Baseball and Softball by any local sponsor is prohibited, unless permission is expressly granted in writing by Little League Baseball, Incorporated.